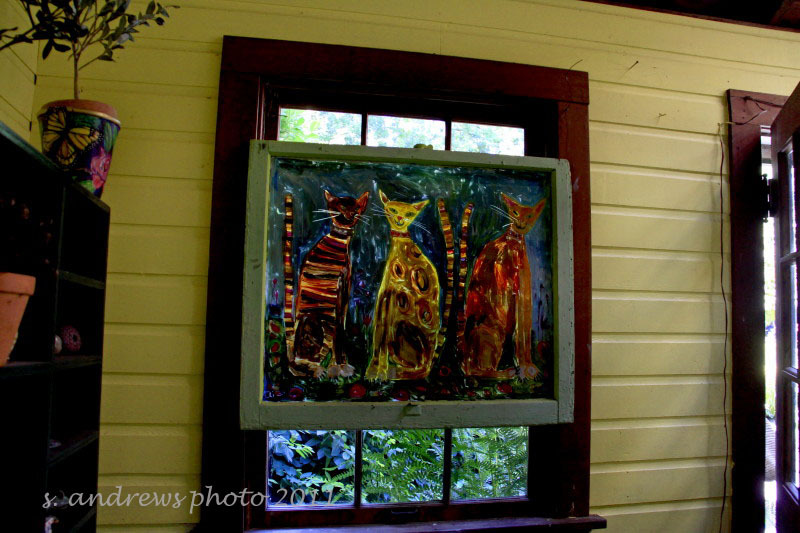 This piece is cats painted on a weathered pain of glass and mounted in front of the window. It hangs above the green newspaper cat chair. I think it was my favorite.